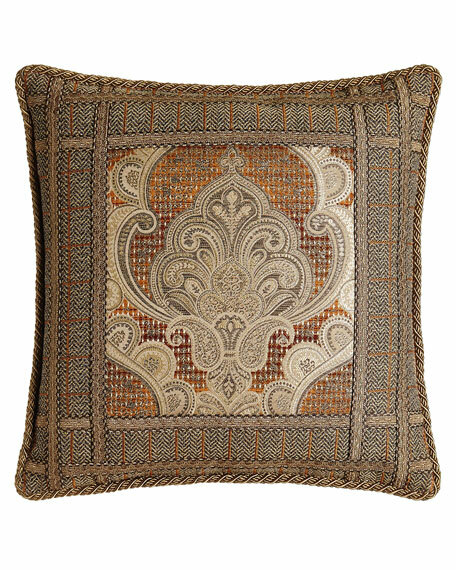 Dian Austin Couture Home Kamala Pillow, 20"Sq. Dian Austin Couture HomeKamala Pillow, 20"Sq. Pieced pillow with cord trim. Polyester/cotton/rayon front; polyester back and fill. For in-store inquiries, use sku #1895757.